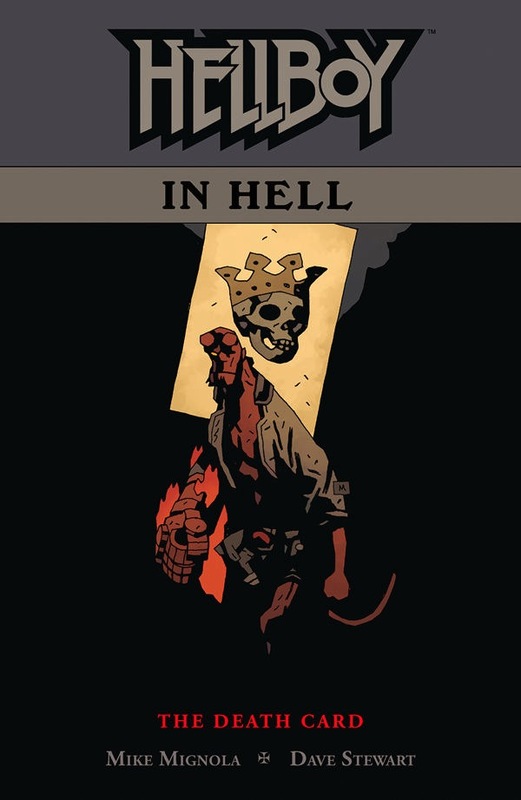 Hellboy is of course already dead, as seen at the end of The Storm and The Fury, so rather than giving us just another cataclysmic battle to wrap things up, Mignola comes at this final reckoning for the city of Pandemonium from an oblique angle, presenting the climactic events at a great distance from the reader’s viewpoint in both a literal and thematic way. 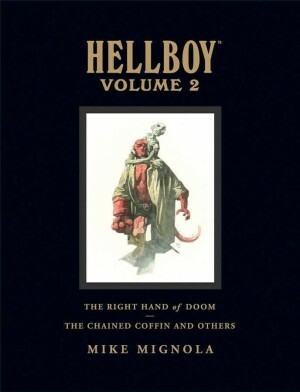 There are references to other parts of Hellboy’s universe (you will find it very useful to read ‘The Magician and the Snake’ collected in The Amazing Screw-On Head and Other Curious Objects) and to events, places and people seen all the way through the series. 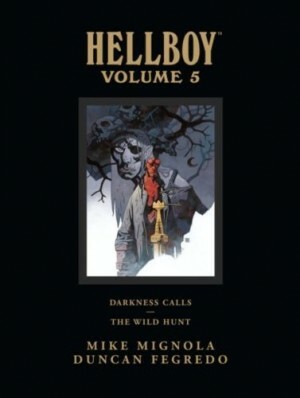 One of those people supplies the answer to the biggest remaining mystery regarding Hellboy’s actions in Hell as he drifts in his customarily passive way toward the inevitable. 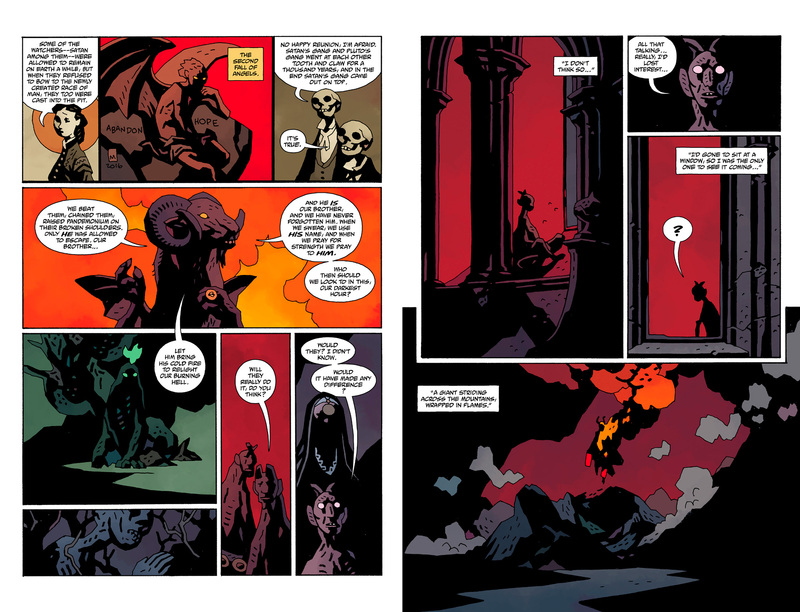 Mike Mignola pushes the austere beauty of his drawing language to drastic levels of minimalism in these last few stories, to the point where the images are diagrams that have to be decoded, almost withholding rather than presenting the information. 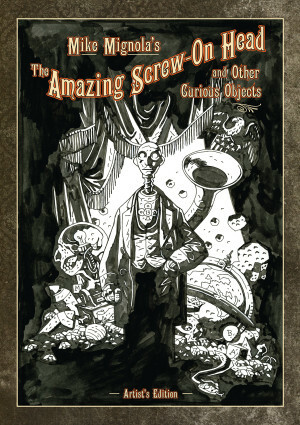 The formal restraint of the pictures, and the colouring which works very hard here to supply the emotion lurking beneath them, plays off the baroque language of the demons to deliver poetic and memorably odd scenes, particularly for the fates of the remaining players at the edge of the world. 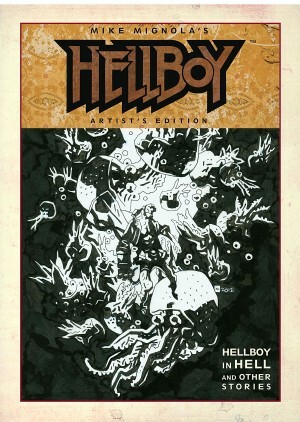 The final disposition of Mignola’s hero is very much open to interpretation. It’s a brilliant and very fitting end to the story cycle, which may be a little confusing for newer readers but will please longtime fans enormously.